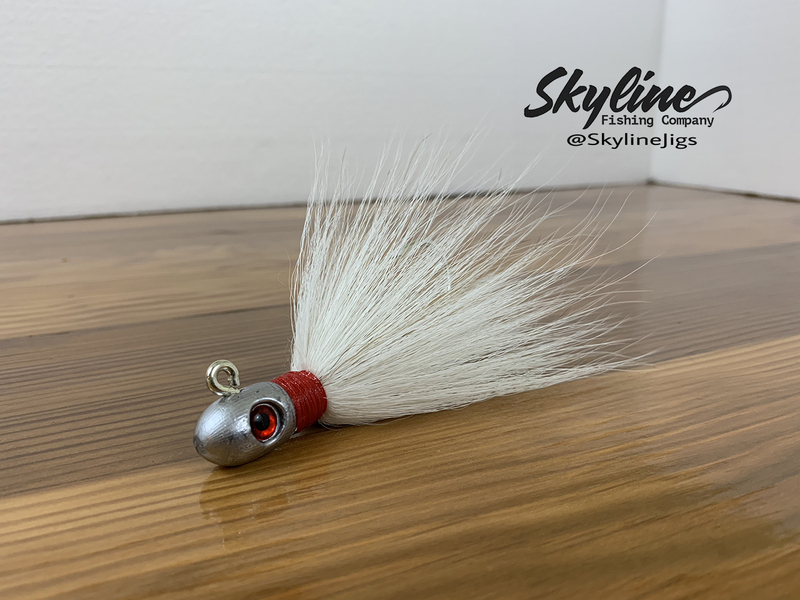 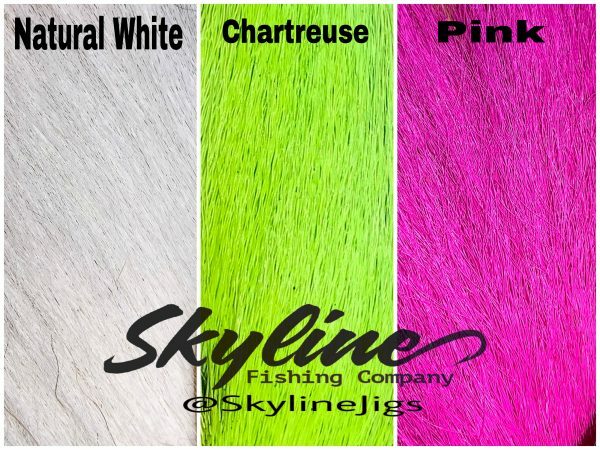 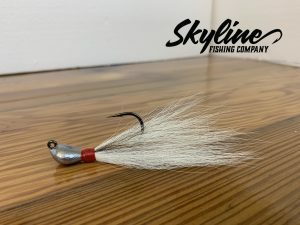 The Skyline Bullet Bucktail Jig is matched with 3D fish-like eyes and the perfect amount of natural deer hair that allows this jig to flow through the water column naturally. We offer this popular jig in several weight options to fit your favorite fishing spot. 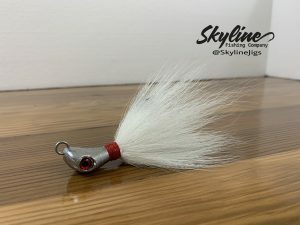 Will work in freshwater and saltwater. 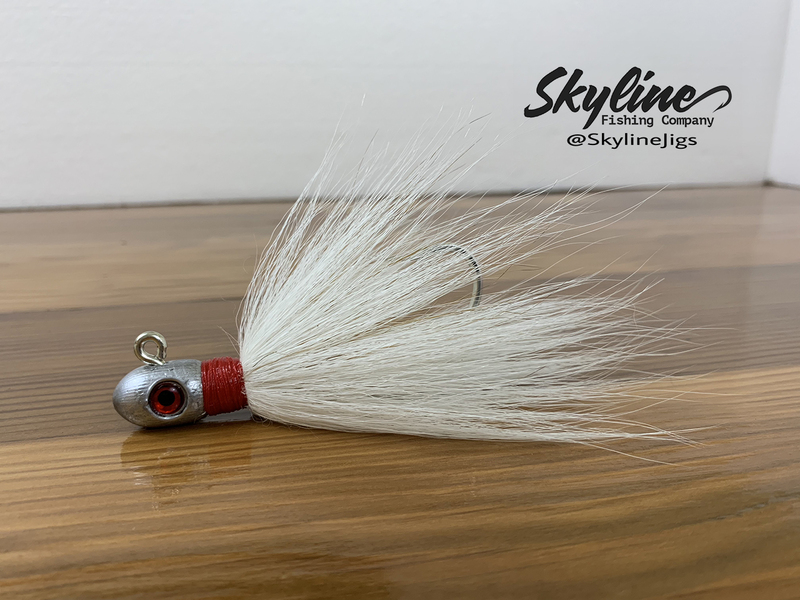 Jose I think every fisherman should have a few bucktail jigs in there box at all times. 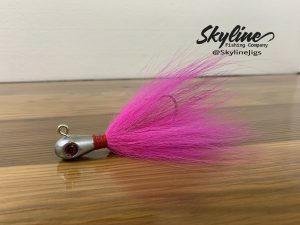 It is a fish catcher!